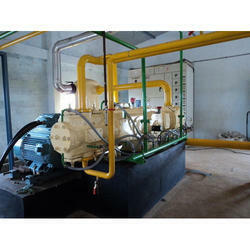 With the help of our dexterous professionals we have come up with high grade Gas Compressors. 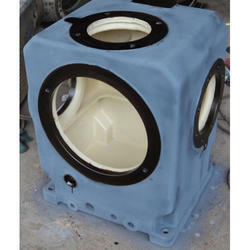 These are designed in such a manner to compress air and meet the specific operation requirements of our clients. Our compressors are widely acclaimed in the market for their high performance, superior quality, easy installation, durability and reliability. We also provide customization for the product as per the specifications of our clients for their maximum satisfaction. 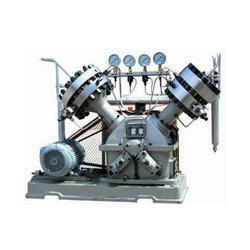 Our prominence in this domain has helped us come up with quality Methane Gas Compressor. 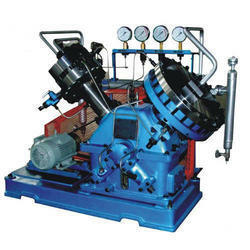 These compressors are designed under the strict surveillance of the experts using advanced machines and equipment. Post-production, these compressors are tested on varied grounds to ensure their compliance with international quality standards. 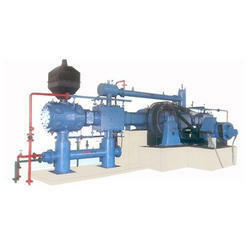 We are a prominent name involved in manufacturing high grade Diaphragm Compressor. These compressors are designed to compress pure, toxic, flammable and high pressure gases with ease and perfection. Keeping the safety factor in mind, these compressors are manufactured using quality component sourced from authorized vendors in this industry. Backed by profound industry experience, we are presenting to our clients CO2 Compressor. Our compressors are appreciated by our patrons for their smooth functioning, noiseless operations, resistance to corrosion, durability and high performance. 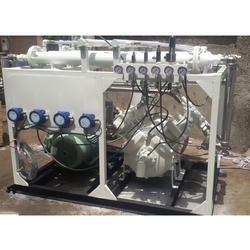 To meet the varied needs of the clients, we have come up with Reciprocating Gas Compressors. Concentrating on the dimensional accuracy of the product, our professionals execute various drawing of the product so as to offer the best to the clients. Using advanced technologies and high-grade material these compressors are specially designed for various fertilizer, textile, cement, agriculture and automobile industries. With the help of our experienced engineers, we are able to manufacture a wide assortment of reciprocating gas compressors. Our products are manufactured using high-grade material that is sourced from vendors of high repute. These products are highly appreciated by the clients for being fully balanced and easy to operate interface. Owing to their intrusive attributes, these products are widely used in various industries such as cement, agriculture, fertilizer, textile, and automobile. Owing to the sound industry experience, we have been successful in catering to the requirements of our esteemed clients by offering quality Gas Compressors. 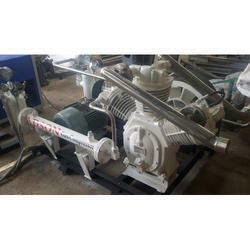 The offered compressors are designed and manufactured under the strict supervision of professionals using high-grade material that is sourced from vendors of high repute. Owing to the attributes like low maintenance cost and sturdy construction, these are widely used in cement, fertilizer, textile, agriculture, and automobile. Adson Engineering Corporation is one of the worldwide market leaders in the field of natural & industrial gas especially for biogas, methane gas & CNG gas compressors and the only manufacturer that covers a range of Biogas Compressor technologies. 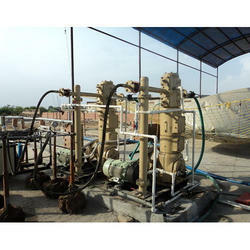 Whenever gas needs to be compressed or liquefied with reciprocating compressor, Adson Engineering Corporation is the best solution to do it for new or existing installation. Adson Engineering Corporation's customized compressor systems are used in the gas process, gas transportation & storage and industrial gas sectors where a vast array of end products get produced. We are the number one manufacturer of highest discharge pressure capacity in a reciprocating compressor. High pressure compressed gas / air. Any type of gas application. 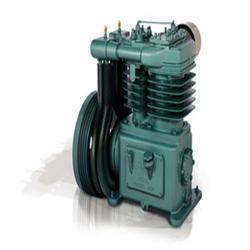 Our compressor systems are engineered and designed as per specification & need of the customer. We have years of experience of structural and mechanical analysis for reciprocating compressors. Adson Engineering Corporation's leading technology, high-quality compressor components and the full range of services help customers to minimize landing and operating cost of their reciprocating compressor. To ensure utmost reliability and maximum cost benefit, we assist our customers throughout the entire life cycle of our reciprocating compressor for replacement parts or to repair or upgrade existing installation. We provide Proper installation and guidance, Customer training programs, On-site maintenance and repair, up-gradation & modernization of the existing system. We believe in lower operating and maintenance costs with longer service intervals with uncompromising high-quality standards which ultimately benefits the customers. Longer maintenance intervals, long running times and minimal downtimes keep the cost of operation and maintenance very low with good efficiency compare to other competitors from other countries worldwide. In fact, we take pride that the reciprocating compressors built by us are working efficiently in India and foreign countries and committed to maintaining reliability for the years to come. Looking for Gas Compressors ?